What’s the best way for business owners to empower employees to make purchases? Employees might need an efficient and convenient way to buy fuel, supplies, or even entertain clients. At the same time, business owners need to make sure that employees only buy what they actually need to perform their jobs when they spend company money. Corporate prepaid cards can stop abuse or misunderstandings before they ever happen. In addition, prepaid cards for business still allow employees to buy the things they need to get their jobs done. They create a win-win situation for businesses and employees. The New York Times collated statistics from different sources for a report on expense fraud. The findings suggested that even typically law-abiding people may not view some abuse of their expense reports as a truly criminal act. Employee misuse of expense reporting has been growing over the past several years. Typical companies may expect to lose five percent of their revenues to this kind of intentional or unintentional fraud. It’s fair to assume that most employees don’t really intend to break the law or cheat their employees when they pad expense reports with disallowed purchases. They may make mistakes or even believe they are entitled to this extra reimbursement. Certainly, companies need to remind employees about the types of purchases they are supposed to make. However, you can eliminate these kinds of problems before they ever start by offering employees prepaid cards for business. How do corporate prepaid cards work to prevent expense abuse? With corporate prepaid cards, expense control begins with giving each employee a card issued in his or her own name. As a business owner, you have an app that you can access on your computer, phone, or other device. 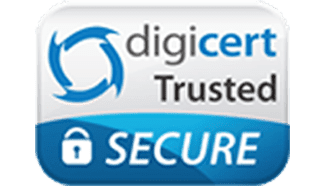 This app allows you to transfer funds, set expense limits, and specify the sorts of merchants that the employee is allowed to visit with the card. The employee has the freedom to buy what he or she needs; however, you maintain control of purchases made with corporate prepaid cards. If your employee violates the rules, the merchant won’t accept the purchase. Each time this happens, the system will notify you of the decline, so you can take further action. For example, you may allow a driver to spend $50 a day on fuel at service stations. If employees try to use their business prepaid cards at another kind of store or spends more than the limit, the transaction gets declined. You will see why the prepaid cards for business got declined, so you can determine the kind of action you might take in the future to prevent issues. In some cases, you may decide the expense was reasonable, so you may change the rules for your prepaid business cards; in other cases, you may decide you need to communicate with your employees about how they manage expenses. 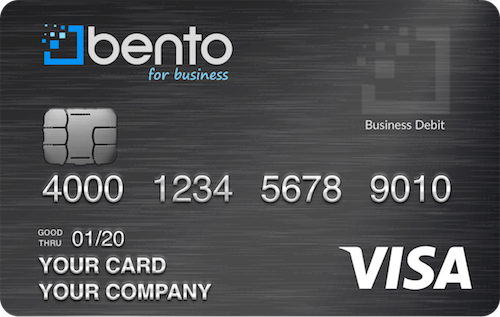 Why choose corporate prepaid cards from Bento? Learn more about how business prepaid cards from Bento can help you control spending and empower your employees. With Bento, you can rely upon an A+ rated company with BBB. Enjoy ease of use with a mobile app that even automatically synchronizes with such popular accounting software as QuickBooks. Not only can Bento save your company money by preventing misuse of employee expenses, it can help you manage your spending more efficiently. The FAQ pages should answer most of your questions, but you are welcome to ask for a demo or contact Bento with your queries too. Get started today by enrolling in a free, 60-month trial of business prepaid cards. You can also call us at 866.220.8455.